Enlighten’s Evolution profesional teeth whitening treatment. Stoke Road Dental Practice has been accredited as an Enlighten Evolution Professional Teeth Whitening Centre. Dr Vijay and Reena Raichura and Dr George Zardavas have been trained in its use. 14 nights of home whitening with Super-seal whitening trays. 40 minutes in–office boost / power whitening. The only system to whiten up to 16 shades easily and safely. 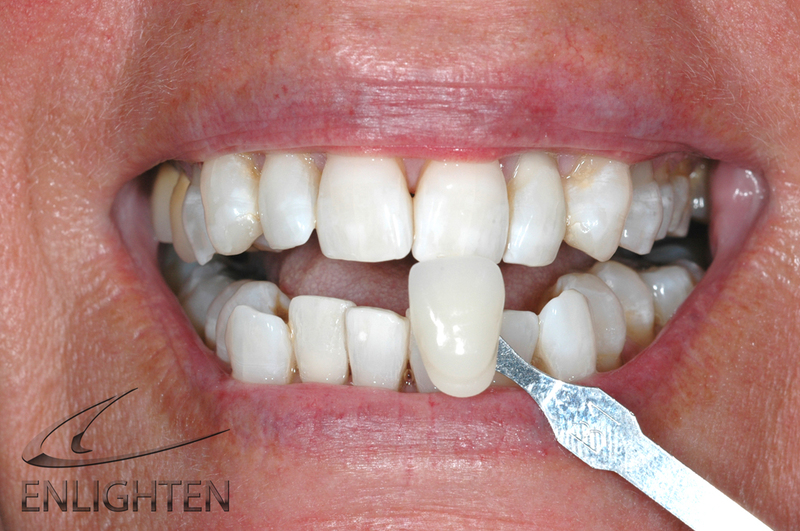 After the initial procedure, a top up once every 2-3 months to maintain the effect. Teeth may become stained for all sorts of reasons from normal aging, tea, coffee, red wine, food colouring, small cracks that take up stain readily. 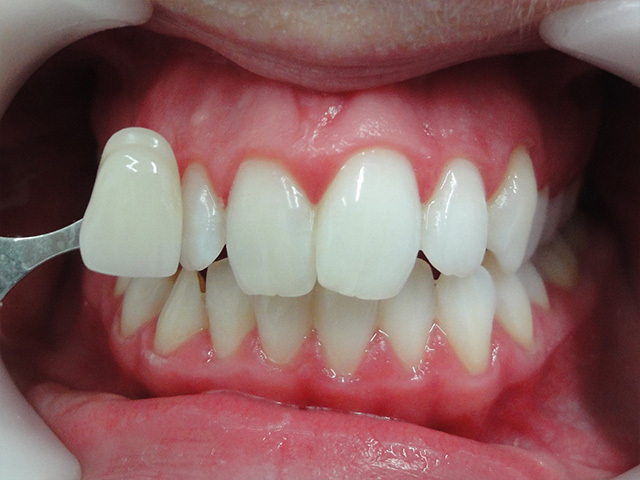 These types of cases, whitening works well. 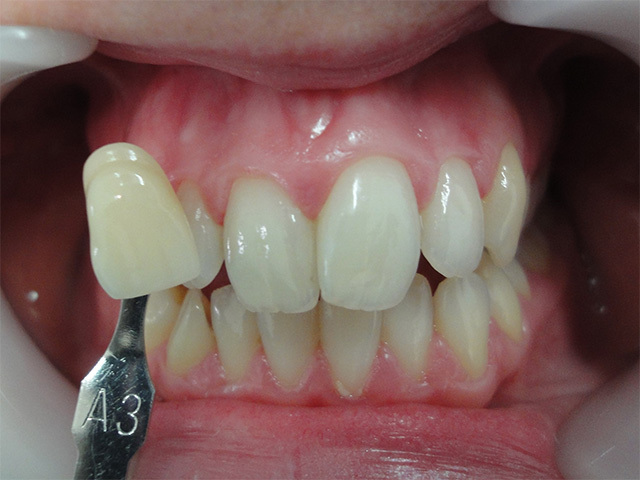 Cases guaranteed to B1 (the whitest shade on a Dentists usual shade guide). The length of time to achieve the accepted shade is dependent on the initial shade at presentation. No dehydrating of teeth giving a false whitening effect. Please note you must have a healthy and clean mouth before trying any whitening system. Your teeth will be examined prior to whitening and a reason for the discolouration with be investigated. 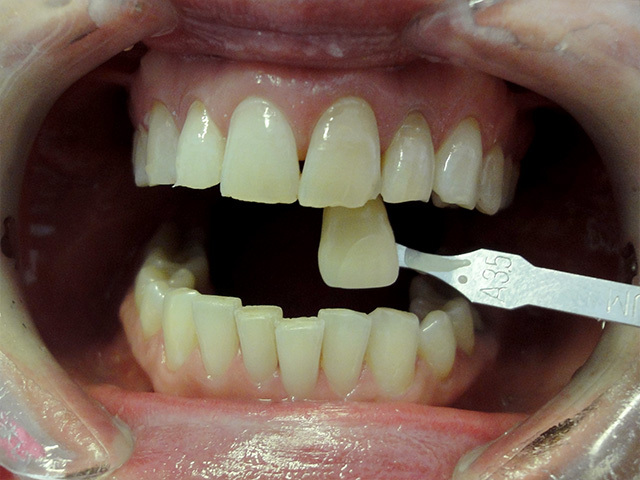 You may be advised to see the Dental Therapist prior to whitening to remove and build up of tarter. A mould is made of your mouth. Custom made Super sealed trays (like a gum shield) are made in dental laboratory. 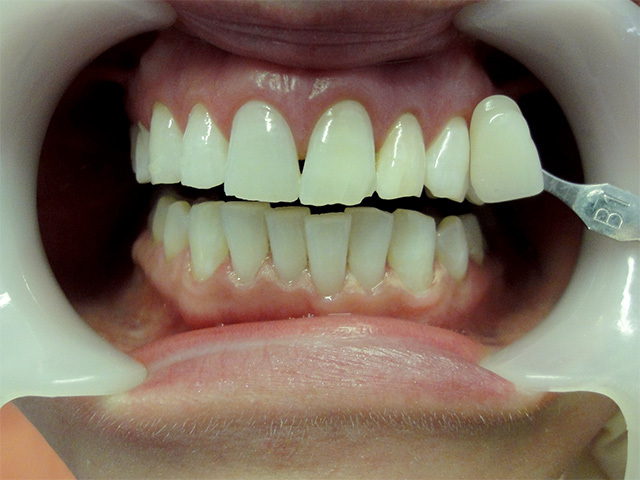 You will be instructed how to apply the whitening gel to your personal Super sealed trays. You will do this for 6 hours per night for 2 weeks. 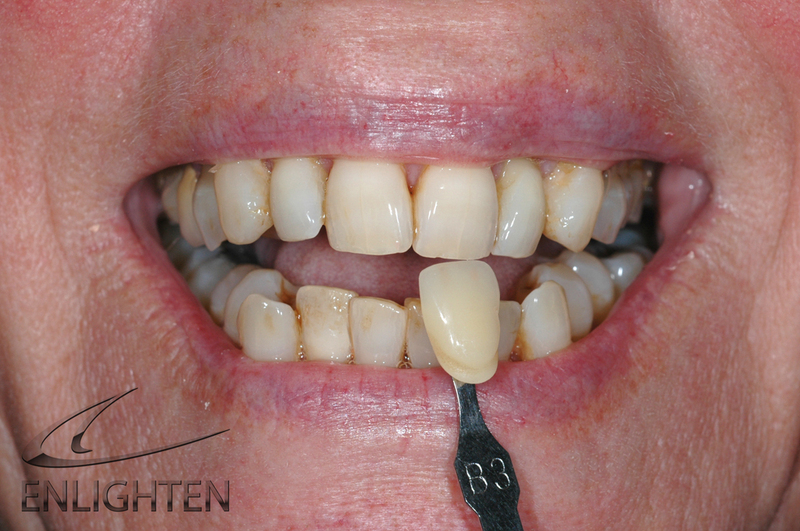 A stronger whitening gel is then used in the surgery to finalise the result. Some people find their teeth to be sensitive throughout the process. This is usually temporary and managed with a sensitive tooth paste. Please inform your dentist is you have this problem. We don’t advise the purchase of unregulated whitening gels from the internet due to the potential risk of them being mildly acidic, abrasive, harmful and damaging. While whitening works on natural teeth. It has no effect on the crowns and bridges and fillings. These dental restorations may need to be changed at the end of the whitening procedure and this will be explained to you from the outset. At Stoke Road Dental Practice we use a gel that is accepted by the GDC / EU Council Directive 2011/84/EU . That is a tooth whitening gel containing upto 6% Hydrogen Peroxide (present or released). Your dentist will explain this in more detail.